NASCAR is planning to launch a new Generation 7 Cup series car in 2021. 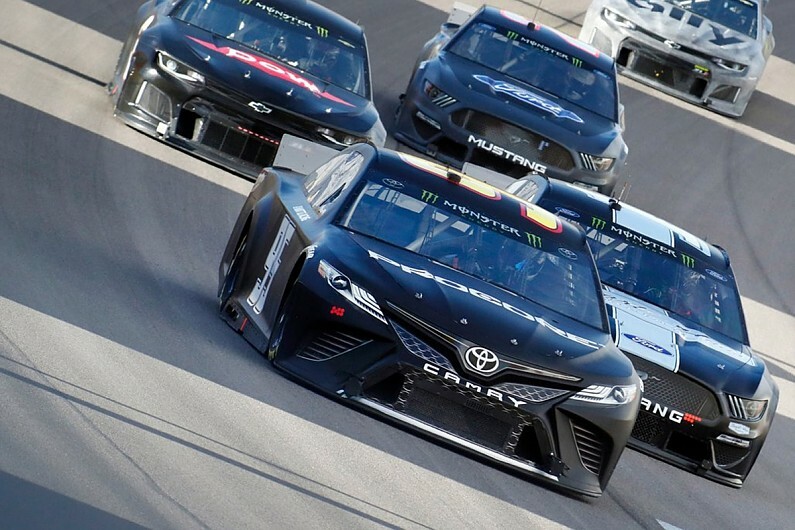 Current manufacturers Toyota, Chevrolet and Ford have been in discussions with NASCAR to help inform the direction of the regulations, and the series has consulted manufacturers outside of NASCAR in a bid to attract more car-makers. NASCAR’s new-for-2019 aerodynamic package for the existing Generation 6 cars is a bridge to the Generation 7 car. “I think it’s important to note that the reason we headed in this direction with the 2019 rules package was really to line us up for where we wanted to go in the future from a racing standpoint, both on track from a car’s look and feel and then under the hood from an engine perspective,” said NASCAR’s executive vice president and chief racing development officer Steve O’Donnell. “So what we’ve done is spent the better part of a year putting together a Gen-7 model. Chevrolet and Ford have both brought muscle cars in the Camaro and Mustang respectively to the series, in part because the wide range of road-going counterparts helps inform car developments in NASCAR. Rushbrook added that changes to the engine should come after the introduction of the Generation 7 car. Toyota previously told Autosport that lighter engines would be more relevant, and Penske’s Brad Keselowski has argued for hybridisation. Rushbrook added: “I think that’s the right step for the sport to take to get a new car in those different areas. Then after that step is taken, then look at something for the powertrain.